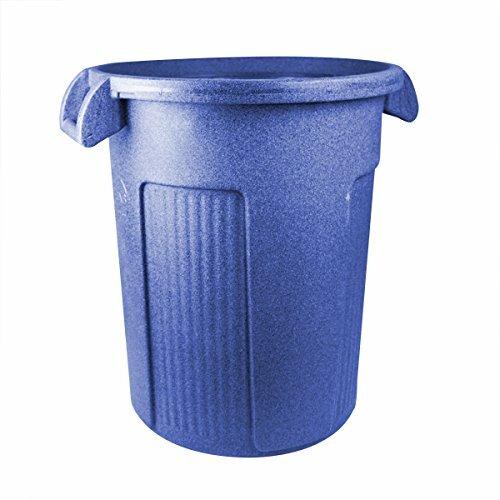 The UltraSource round Atlas commercial-grade large capacity trash can is manufactured through a patented Advanced Rotational Molding process using medium density polyethylene. This allows for added rigidity and extra material in critical wear areas, creating the patented rugged rim at the top edge and the heavy duty base at the bottom of the container. The single piece design has non-slip handles molded right into the container so that they will not rip or tear off during use. They are available in 32 and 44-gallon sizes.